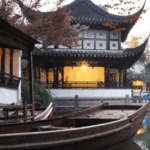 Shane English Schools China (SESC) offers you the opportunity to experience the fascinating and wildly different culture of China first hand with the support and expertise of one of the largest British owned EFL organizations in Asia. We are now holding interviews for positions at our school in Fenghua. We are looking for professional and motivated young learner teachers dedicated to making learning fun and effective. Established in China in 2001 Shane currently operates in over 24 cities across China. We are well known as a market leading language school. With thousands of students coming through our doors every year we make every effort to maintain the highest standards in education by providing excellent course materials, technology and an engaging learning environment. The majority of our students are young learners aged from 3 to 18 years old and are exposed to English immersion classes. Teachers must be creative and effective communicators, utilizing different methods to deliver ideas and empower their students to express themselves. With small class sizes of 10 to 12 students, the teachers can provide personal attention to each of the students. A trained bilingual Teaching Assistant will be available to offer support inside the classroom. We also have plenty of resources that can be used in every classroom such as flash cards, writing boards, blocks, toys, puppets, music and multimedia capability. We have developed an extensive line of books, workbooks and interactive CDs to compliment well with our teaching methods. Fenghua is located on the east coast of China and south of Yangtze River Delta in Zhejiang province. The city is surrounded by mountains and sea and is not far from Ningbo. Its population is over 600,000 with subtropical monsoon climate and four distinct seasons. Fenghua is a favorable place to live with its pleasant weather and beautiful natural scenery. Fenghua is an ancient city famous for its long history and culture combined with modernization. The city has undergone great changes in the past and with its favorable natural conditions, it is abundant with agricultural specialties. The residents and tourists enjoy flowers and fruits here throughout the year. Some of their well-known agricultural products include peaches, bamboo shoots, taros, strawberries, floriculture and seafood. It is also well known for being the hometown of former ROC President Chang Kai-Shek, Generalissimo and a great number of famous historical figures.